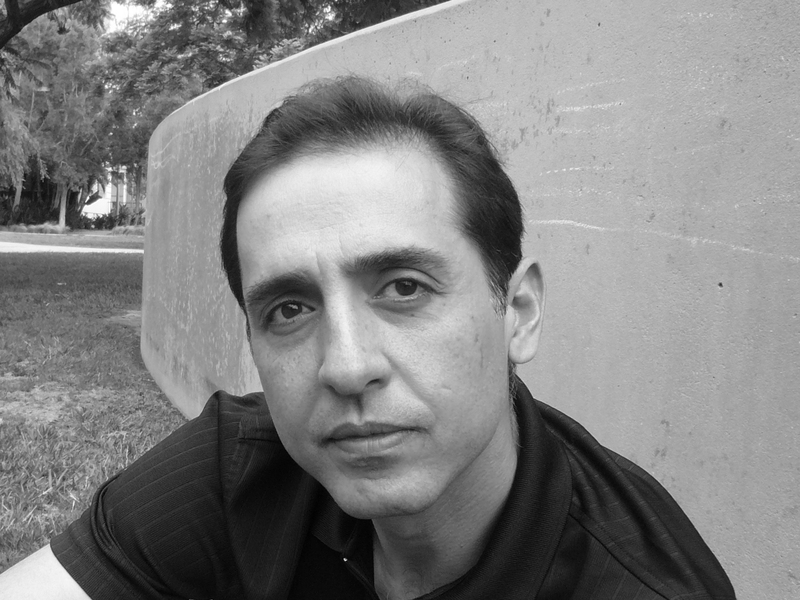 Aria Minu-Sepehr was raised in a sheltered world of extraordinary privilege as the son of a major general in the Shah’s Imperial Iranian Air Force. The 1970s were the end result of half a century of Westernization in Iran, and Aria’s father was the man of the hour. But when the Shah was overthrown and the Ayatollah rose to power in 1979, Aria’s idyllic life skidded to a halt. The surreal began to invade the mundane, pictures of executed family friends soon covered the newspaper, and ten-year-old Aria was thrust into the terrorized world of adults. In this critically acclaimed and deeply moving memoir, Minu-Sepehr takes us into the heart of the revolution when a boy’s hero, once held up as the nation’s pride, became a hunted man. For as long as I could remember, my father had been a general. Growing up in the air force, around armed forces, I had become adept at recognizing ranks. One look at someone’s uniform, at their silver stripes, bronze asters, or gold stars, and I could tell exactly where they stood, who obeyed whom. In the last four years, Baba wore two stars and an imperial crown on his epaulettes; he was a major general, commander of a sensitive base in Isfahan. All eyes were on the operation: The king considered it a glowing achievement to bring the most sophisticated fighter jet in the world to Iran. On the American side, handing over a national secret to a country bordering the Soviet Union was risky. Could Baba establish order? At the height of the cold war, would one of our pilots be lured by communist propaganda, defect, and give away an American technological advantage? Every move, even my grade-school life, had to be scrutinized. The barren setting of the base, on the high plateau of a forbidding desert, was unlike the city it bordered. Isfahan, the city, was fed by a river, nurtured for centuries, tree-stippled and verdant. In contrast, our air force base was a wasteland situated at the foot of towering, azure mountains. If one traveled in the direction of the mountains, the desert terrain quickly turned rocky, pocked, and undulating. The strewn fragments of basalt and obsidian were signs that in this land monumental calm periodically gave way to sudden, convulsive upheavals. The infertile landscape of our home had a formative influence on me. My desert: a vast carpet of undifferentiated barrenness stretching away in serene quietude. My mountains: impassive overseers of my youth. Against this backdrop the sun revealed its various faces like clockwork—starlike at dawn, canary yellow by midmorning, a diffuse blaze in the afternoon. One glance at the sky and I could tell when school would end, when the guards outside our driveway would change shifts, when my father would arrive, or when supper would appear on the table. A month before everything changed, Baba moved to Tehran, the capital city, to assume a new post with a new star. My mother, my caretaker, and I were to follow during the New Year’s break. Along with school, the entire nation would shut down in March, on the first day of spring. A weeklong celebration would ensue—presents, picnics, Grandmother’s house a revolving door of guests. But that year, in the dust of the revolution, spring’s tender blossoms came and went without notice. On the day the regime fell, we left the base in a hurry and with hearts pounding. My mother packed two satchels, swept up our poodle, and told Bubbi to leave whatever she was doing and get in the car. “Your dad’s already with Mamman Ghodsi and your brother is safe in America. The rest can go to hell,” she explained to me. “What’s going to happen to my toys?” I asked. “But Missus, I left stew bubblin’ on the stove,” said Bubbi, puzzled. “They’ll come looking for the baby only to find a peed-in bed.” My mother was engaged in some heated mental dialogue, just not with us. Arriving in Tehran the way we did was disorienting; the revolutionary fervor was at its peak. But even in good times, the capital was a disaster compared to the base: tortuous streets, reckless drivers, ceaseless neon lights. Islamic architecture stood next to glass-clad buildings or European neoclassic designs, an occasional Chinese pagoda appearing out of nowhere. Billboards advertised Indian Darjeeling tea, William Friedkin’s The Exorcist, “as white as snow with Snow laundry detergent,” and Sakura Mikado—the latest craze in Japanese wristwatches. Entering a new school two-thirds of the way through fifth grade was a worry that paled in comparison to the threat of my father’s execution. And as though Baba anticipated the inevitable, he went out of his way to spend each afternoon with me, running pointless errands before dinner. “Where are we going?” I wanted to know. “It’s interesting that we immediately put value on the things and not on the act of seeing. The verb, I’m thinking, is more worthy of our attention. How do you see? What things do you choose to see? Whom do you see it with?” he mused. This was the revolution’s lasting result—you could ask the simplest question and receive a cryptic, off-the-wall answer. We arrived at an excavated site, a hole big enough to swallow a house. “Future site of a building. Aren’t you glad you came?” my father said. “A house. Technically yours and your brother’s. Consider me your contractor.” My parents’ dream house. Their luck in buying property in a neighborhood before it became chic. So this, a hole in the ground, was what my mother billed as our new home overlooking the city? Stacks of architectural plans, the nightly fussing over the placement of windows, doors, and closets. Weekends comparing different styles of banisters and newel posts forming a Gone with the Wind staircase. The groundbreaking. The recent quagmire of unsettled legal issues, as anyone with “official” capacity had abdicated his position. “What do we do now?” I asked. How was anything possible in the chaos of the revolution? We got back in the car and headed into Tehran’s perpetual rush hour. Standstill traffic made me restive. The blare of a revolutionary song on someone’s radio shivered my spine. I couldn’t tell if I was terrified or excited by martial rhythms, the catchy tunes about resistance, brotherhood, and martyrdom. One by one, men left their cars to see what was holding up the flow. Back and forth. One crowd leaving, one returning. Baba wore a face of ultimate calm, like we were cruising at ten thousand feet, clear skies. I remembered his flight experiments that always proved we were in control. What do you think would happen if we lost power now? he’d ask hypothetically. Say we go through a cloud and the carbs freeze. Would we drop like a rock or glide like a feather? Whatever I answer, he doesn’t say whether I’m right or wrong. Hold the stick, he says as he slides the red-buttoned throttle all the way in. The prop slows to a purr. The nose sinks. Earth. I pull hard on the controls. Don’t fight it, he says without intervening; Go with it, let it fall. Here on the ground, there was only one question: What will I do if they take him? That it didn’t come up meant the answer was dire. Winstons flared up all around us. Smoke rising from dangling arms. Between drags, adept fingers counted prayer beads. Traffic still not moving. A conversation of sorts was taking place through the open car windows, but no one was addressing anyone directly. We were all looking ahead. “Maybe there’s a demonstration up there,” someone said. “Maybe there’s a hanging,” someone piped in with derisive cheerfulness. No one dared respond. The revolution ran on blood. Heads were rolling. There were many unbelievable things. But were they true? Watching my father go about his days as though nothing had happened, as though the revolution was simply a nuisance, was to say home was still home. Revolutionary people were the same old folks, just a bit rankled. Meanwhile, the TV, radio, and newspapers made you think we were caught in the vortex of a great storm. Unlike at any other time, the last years of the shah’s reign were vexed by social turmoil and violence. Charged by the period’s ethos of armed struggle—by the examples of the IRA, PLO, by Che Guevara and Castro, by the scathing riots that shook France in 1968—militancy was on the rise in Iran. Guerrilla groups decried Western capitalism, the dependence created with consumerism, and the steady loss of traditional values. Since 1970, three hundred people had lost their lives to acts of terrorism, and with car bombs that targeted American military personnel, the regime raced to show control. The public trial and execution of several opposition figures had the unintended result of radicalizing the entire political spectrum; in the aftermath, you were either a pro-government chum or an antiestablishment extremist. The ongoing debates over democracy or reform or even the meaning of Iran’s nominally constitutional monarchy were wiped off the table. Substantive change would come only when one person could point a finger at the king and still stand. The exiled Ayatollah Khomeini called the shah “a U.S. serpent whose head must be bashed with a stone” and knew that he’d either come out of it a martyr or a hero—or a tool to those who thought the endgame between the one who was “sign of God” and the one “ordained by God” would free the political process. Somehow, people assumed that after defeating the wicked emperor and his evil empire, the turbaned superhero would recede into his underground hideaway. The shah perceived dissent as an invasion of ideologies. Marx was strictly banned; Thomas Paine was seditious; Khomeini’s sermons about an Islamic government were illegal. He paid little attention to the battle for the heart and soul of the nation. The court, the dominant class, and indeed anyone who looked to the West as a model believed in modernity’s self-evident superiority. Who would want to give up a twentieth-century life? Could anyone conceive of women surrendering their right to vote or choosing to be forced to wear a veil? Was it even possible that the judiciary would abandon law books for the Qur’an? How was an arcane cleric who’d devoted a lifetime to the exegesis of a religious text capable of assuming leadership of a country woven into the economy of the West, a state that in the 1970s single-handedly accounted for a quarter of all U.S. arms sales? In January, the front-page spread in the national paper made every outlandish notion conceivable: a teary-eyed king boarding a jet, a loyal general kneeling at his feet. The headline read, “Shah Gone.” For us, for anyone committed to the structure of the military, the king’s departure was a devastating blow—the commander in chief conceding to a thin-necked, mustached civilian. But bowing out to a National Front candidate could hardly settle a year’s struggle. Clerics and the bazaar class sided with Ayatollah Khomeini. An intellectual cadre backed the Communist Party. And a half-dozen splinter groups saw this as their chance. By February, the revolution had crushed any vestiges of a government, the National Front prime minister had gone into hiding, and Ayatollah Khomeini had laid claim to it all. It was then that the killings began. The man’s eyes dropped, no words, just the rustle of the camera crew and a pale green wall. Was this the plight of the average citizen? I wondered. In and out of Evin? Complain about the price of tomatoes and you get your fingers smashed? At ten, it was clear to me that I belonged to a class with means. The inequities were never hidden. Privilege was a fact of life. And while I knew I was nothing, it was painfully evident that I still commanded respect. I’d try to convince myself there was a reason I was swinging a tennis racket rather than racing around collecting balls. Maybe entitlement had something to do with the way you spoke, walked, or looked; maybe it was because your hair was soft, limp, and partable. But then you’d see a silk-haired servant or an official with nappy hair. Now I faced the horrifying prospect of a system devised to keep us safe and privileged. A year earlier, it would never have occurred to anyone to ask why the gardener, chauffeur, or cook did what they did. But with Evin, every burdened social stratum could perceive itself a prisoner. They had eviscerated the shah’s government. What now stood like bars between them and their imagined utopias was the class they’d served. One evening, while the womenfolk and I struggled with the atrocities of the imperial regime playing on TV, Baba stormed into the living room. “How can you listen to such charandiat [absurdities]?” he said. “These are paid frauds who’d say anything.” He ordered us to turn the television off, and I felt the same shame I saw in Grandmother’s face. “Who are paid frauds?” I asked a few days later during one of my afternoon jaunts with my father. It took Baba two beats to recover the thread. “No,” I said sadly. I was secretly holding out hope that mankind would someday find Kryptonite. Enough said. Superman amounted to a silly bodysuit. I did not want to follow this trajectory too far. But the conversation helped me understand something: There were things that were true, and things that were untrue but compelling. In the end, we were left to decide how much to believe. “That’s just it! I really can’t tell you how it felt.” I laughed and laughed. Some afternoons, when Baba was away and the coast was clear, Mamman Ghodsi would turn to me, press an index finger to her nose, and tune in the trials. We were ready to shut the TV off as soon as we heard footsteps or keys or the front-gate buzzer. Mamman Ghodsi sat at the edge of the couch, biting her lower lip. I sat next to her, matching her intent gaze, not sure what was being said but fully grasping the power shift and what it meant for us. The clergy had coined an unintelligible Arabic label, mofsed fel arz: their verdict. I couldn’t believe it described us, this foreign phrase scrawled on rectangles of paper, dangling from the necks of the guilty. Morgue shots of the executed displayed the signs on their bare chests, paper softening on skin, ink running with blood. The trials weighed on me, made me doubly culpable. I was a societal disease, now a disloyal son. I desperately wished to confront Baba, to say I knew things I shouldn’t, but to do so would betray Mamman Ghodsi’s trust. “What is mofsed felarz?” I dared to ask my father one day, hoping he would see the question for what it was, my confession. “Arabic gibberish,” he said. His dispassionate tone was the same he’d use if I had asked what an altimeter was. “Mofsed, fesad, fased, fasada.” Often, my father forgot my generation didn’t study Arabic. Since my birth, the country had tried to expunge the language of the Qur’an from our tongue. Those in power thought that Arabic had corrupted our Farsi. “I don’t get what it means,” I had to admit. Clearly, I’d hit a nerve. Baba wasn’t answering me anymore; he was rehearsing a defense. During this time, regularly, Mamman Ghodsi’s eldest brother, Uncle Dear, visited us, ostensibly to check on his sister. His arrival threw everyone into a frenzy of dusting, fussing, and pastries. It was the only time I felt normal during the revolution, connected to a life I’d known, however pathological it was to race around a ravaged city searching for kiwi tarts, éclairs, or napoleons. Uncle Dear would arrive wearing one of his strange but dapper three-piece suits, carrying a bouquet in one hand and his hat and umbrella in the other, always poised with an unctuous, carefully metered line like he’d memorized it. “How insensible of me, arriving with mere miracles of nature before the Creator’s masterpiece!” he’d announce majestically, catching sight of Mamman Ghodsi in the doorway. With tea and pastries and questions of health out of the way, Uncle Dear turned to my father, the real reason for his visits. “General dear, do you not suppose the exigencies of history warrant less conspicuity?” Uncle Dear’s speech was as antiquated as his Hitler mustache. Almost always, he punctuated his sentences with a couplet from the fourteenth-century poet Hafez, or an unintelligible French aphorism. Through my father’s responses, I’d learn what he had just said. “Hiding, respected dear Uncle, is for the guilty. When one has served one’s nation proudly, one should demand attention,” my father declared. Uncle Dear laid claim to a vast swath of Iran’s turbulent history. He had lived through not only the rise and fall of the shah, but that of the shah’s father. He had seen two world wars. For him, the demise of men was tied to shifts in the times. The whim of international players. Economic maelstroms. One social class sighting another in its crosshairs. Uncle Dear could recall how his own mother and father had squandered the family wealth, gambling. What gold and silver remained, he stored in his basement. The family joke was, Uncle Dear had survived his six wives because he didn’t want them to inherit the two candlesticks he’d been left. “Fate has had many opportunities to take me out,” Baba said with a chuckle. “And I’m still standing.” He was the only one who found our situation in revolutionary Tehran humorous. As far as my father was concerned, whim had no role in the tides of history. Things happened because you planned for them, because of hard work and persistence. It was no accident that Baba was the youngest major general in the Imperial Iranian Air Force. Iran had assembled the most feared air defense in the region, and caprice had nothing to do with it. Why were Iran and America such close allies? Why was Iran the only country America entrusted with its most sophisticated fighter jet? If you asked my father, he’d say this was all the result of toil, dedication, and strategic alliances. Maybe I personified the nation: He poured his love and energy into me with such intensity that, as I looked back on my young life, I saw a seamless merging with the man I called my father. We attended the first day of kindergarten together. We inspected military hardware together. Together, we did homework. “Penmanship starts with your own shaped quill,” he explained to me over one calligraphy assignment, “not some Bic or even a fancy fountain pen.” He gathered half a dozen stalks of bamboo, then cupped his hands around mine and showed me how to whittle. “Take off a small sliver at a time. See? You have to will this thing into life, convince it of its new, noble role.” In his caring, persuasive hands, the stick and I were both convinced. More than what he taught, I studied my father. Whenever Baba and I drove anywhere, I had a hand on the steering wheel. When we flew, I memorized his input through our linked controls. Nightly, when he sat at his desk to authorize requisitions, we reviewed everything together, line by line, my eyes following the exact stroke of his swan-shaped signature. “May I try that?” I asked once. He thought about it for a moment and handed me the pen. “Do we approve of the purchase?” he prompted. So I did the most natural thing, as I had practiced it a thousand times in my room, steady and sure—a stepped line, a short dash, and the swan’s upswept wing. “Remarkable,” he murmured under his breath. It was hard to tell where my father ended and where I began—and what of us, if anything, could survive this revolution. But the crusade threatened more than one man or boy; it rejected fundamental assumptions. Did we have the right to claim stewardship of a nation? Was my mother right in holding us to a higher standard, in requiring a certain sensibility that was patently ours? And my greatest torment: What of Bubbi, my villager nanny? Bubbi, the one who bathed and fed me. Bubbi, the face I saw every night as I fell asleep. She was part of my life the moment I registered thought. Did she and I now fall on opposite sides of a line set ablaze by the revolution? The oppressor and oppressed? Could we still be friends? On one after-school outing, my father and I took an expressway westward toward Shahyad Tower, the most conspicuous structure in all of Tehran. Baba wanted to drop in on a poultry farm he had funded. On the way, he briefed me on the details of the acquisition—the partners involved, shares, amounts owed. Maybe he missed the briefings he used to give before each flight. Maybe the end was closer than I thought. Shahyad loomed in the distance, a diffuse enigma. The structure sat in the middle of an immense square onto which many roads converged. As you approached it, it grew taller and taller, crisp and white against a deep blue sky—Look what Iran can make! it said. The monument was our version of the Eiffel Tower until the revolution renamed it Freedom Tower; henceforth we would pursue freedom from modernity. The expressway we had taken ran along the edge of the city, its path marked by rolling hills to the right and the city skyline on the left. At one point we came to a stop at a traffic light, the intersection free of traffic. The few stray buildings to which the crossroad led did not seem to warrant a light, and certainly not on a major artery. With the car humming quietly, my father facing ahead, I looked to the right and followed the path. It wound up to buildings partly obscured by arid hilltops. The landscape reminded me of our desert air force base. I was instantly drawn to it. How strange, I thought, that I had never noticed these hills, so close to Grandmother’s house, yet so hidden. How placid the bare land. I wished the light would never turn. My father and I could leave the car running and walk away, climb the tallest hill. We’d sit together on top of the world, safe from the country’s woes. A deliberate moment passed before I heard the reply. “To Evin,” he said, quietly shattering any illusion of a past to which I could return. “Corrupters”—it was all I could think about. But when I thought of the people around me, their indiscretions yielded nothing but irony. My mother’s sister, Aunt Z, was notorious for her irreverence, yet she was the most pious Muslim you’d ever meet. Bubbi, with her genuine fear of Allah, was his greatest aggressor. And the one whose blood this revolution sought to spill—you would be hard pressed to guess his crime. Did people really want to go back to wagons and outhouses? I thought of creaky carts in Bonanza and Little House on the Prairie, how distant that world seemed compared to the one in which I’d lived—supersonic jets as long as I could remember. Picturing outhouses took even more imagination. My father often used the word, giving my mother reason to poke fun at it. We would all laugh. Now the utterance made her nervous. “What should I call it?” asked Baba. “Very well. Washroom,” he repeated agreeably. “I mean, really!” My mother’s entire way of life was under assault. “What’s an out house?” I asked. “Happy now?” she said to Baba. “Note the past tense,” she inserted. “Could you see, I mean, was it all there in the open?” I asked. My mother added her own story, to counter Baba’s, but her background was marked more by tragedy than glory. It was true that her grandfather and great-grandfather had been courtiers, but theirs was a lost era. Compared to modern statesmen, they were comedic: Great-grandfather’s court title had been “Extraordinary Among Nations.” Of the extraordinary wealth he didn’t leave behind, his penchant for gambling, and weakness for women, legends loomed. “We had kingly bugs in our neighborhood,” Baba said with a snicker. He wasn’t proud of his past, but he recognized it as the starting point of a colossal journey that had brought the country to the here and now. Whenever he talked about life as it had been, he prefaced his remarks with “in my time,” and for good reason: My father’s time had vanished. There was no other way to conjure it. There were no coffee-table history books to flip through. No museums to chart the transition. No antiques markets glorified the knickknacks of a bygone era. “In my time” meant malaria, cholera, and typhus. “In my time” meant Baba’s father started coughing one day and was dead in a week. Without doubt, it was the stubbornness of one man, the shah’s father, that brought Western modernity to Iran, replacing the dirt roads of Baba’s childhood with paved streets, Jebreil (the angel Gabriel) as an explanation for death with medical diagnosis. Reza Shah’s swift military victories against separatists, his dissolution of five hundred years of Turkish rule, his unprecedented turn from commoner to king set the tone and pace of the changes that came with his rule. The early twentieth century held vast promises, which Reza Shah embraced with fierce conviction. Plumbing, sewer systems, electricity, public transport, train tracks, hospitals, schools, universities, a court system, banks, surnames, all blossomed overnight. For people used to wagons and outhouses, the changes were dizzying, alienating. They instilled in my father the most fundamental assumption of modern times: Nothing stood in the way of human achievement but lack of will. With that same headstrong drive, my father commanded his air force base. If something stood in the way, he dealt with it, right then and there, repercussions be damned. Once, when Baba and I were driving around the base on a late afternoon, we overheard the control tower on the radio. The scratchy voice of an air traffic controller reported a mysterious obstruction on one of the runways. Baba reached for the handset. We would check it out, he said. “Take us there,” he told me, and I steered us from the passenger seat to the airstrip. Our flying saucer was, in fact, a long black snake, stretched across the runway, basking on the hot tarmac. We circled the creature and came to a stop near its tail. My father got out of the jeep and, unwisely I thought, approached it, expecting the snake to slink away. Nothing. Man and beast studied each other a long time, neither budging. Finally, my father broke the tense silence. “Do you have clearance to be on the runway?” he said to the snake. No response. He nudged the thick mass with the tip of his shoe, and I gasped. Patiently, the snake straightened, the sun flickering on its slick back. More probes and prods. More adjustments from the snake. Baba climbed back in the jeep, aligned it with a few acute turns, and drove over the snake’s head. Driving back to its tail, he lifted it inside, closed the door on it, and drove off. I couldn’t believe what had just happened. A black stub rested next to Baba’s thigh, and he gazed ahead, business as usual, like we were a couple of seasoned snake catchers. “Is it dead?” I wanted to know. “Let’s hope so,” he said. Anything was possible in my father’s universe. "Aria Minu-Sepehr’s memoir about growing up in Iran before the fall of the Shah is an exquisitely told tale brimming with sensuality, humor, and humanity. Minu-Spehr vividly captures the intense yearning and bewilderment of childhood as he, like a modern-day Shahrazad, unravels a rich and unforgettable tapestry of true-life stories set in a country on the verge of revolution. We Heard the Heavens Then is a son’s eloquent tribute to his father and to the beloved country he had to leave behind." "We Heard the Heavens Then is an extraordinary story of a child who sees his Paradise turn into Hell, an exhilarating work that reveals the delusions of Shah’s regime about modernity and exposes the terrifying nature of the turbaned beards’ dogma. An intelligent, witty, honest and hilariously funny, but also heartbreaking memoir. A remarkable book written by a brilliant writer. A great read." 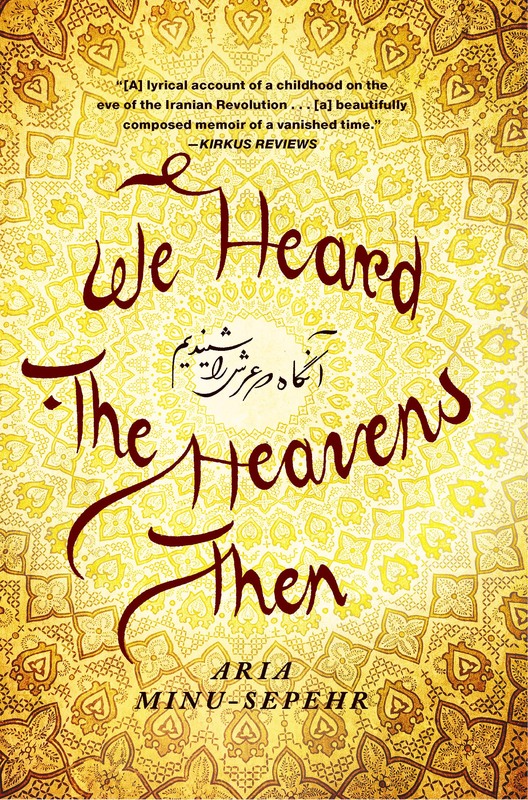 "The strength of We Heard the Heavens Then is Minu-Sepehr's keen eye and wealth of detail. He captures the exuberance, naiveté and anxiety of childhood, as well as a son's hero worship of his father." "[A] Mournfully lyrical account of an evanescent privileged childhood on the eve of the Iranian Revolution....In this beautifully composed memoir of a vanished time, the author... reconstructs the increasingly fraught last days before his family was forced to flee their homeland, finding refuge in London and then America." "Written with the honesty and humor representative of childhood mixed with the longing and acceptance of an adult separated from his homeland, this memoir offers an insider's perspective on a country...that often remains a mystery to Western people."